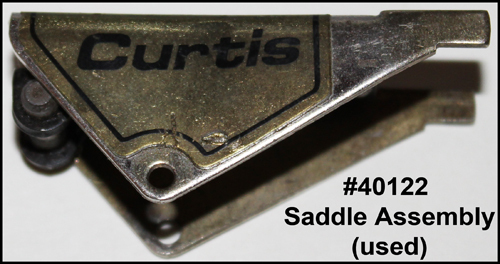 Prices have increased on some Curtis parts. Most items now back in stock! Note that the newer Transponder 15 clippers do use a few different parts than the normal clippers. The punch/anvil, head assembly, key clamp knob and key clamp are different. Please contact us to see if we have these newer parts in stock. Pair of wrenches used to adjust the #15 clipper. Punch spring for #15 clipper. Washer for threaded depth adjustment pin. Nut for threaded depth adjustment pin. Washer for anvil screw and carriage stop spring.